- Sydney band Avion came into being during 1981. Randall Waller (vocals/guitar) had already released two solo albums (‘Oasis’ in 1978 and ‘Midnight Fire’ in 1980) before forming the band Lionheart which soon evolved into Avion. 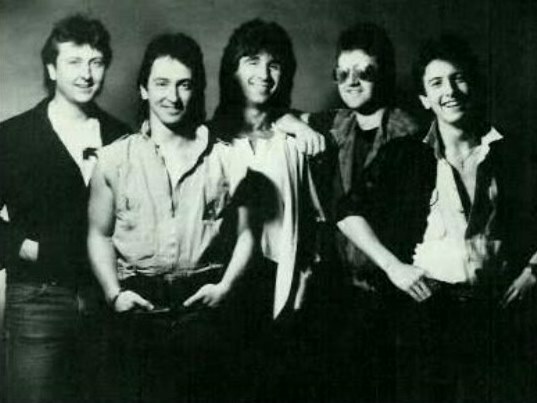 Completing the original line-up were Martin Toole (guitar), Evan Murray (keyboards), along with Waller’s brothers Kendall (bass) and John (drums). 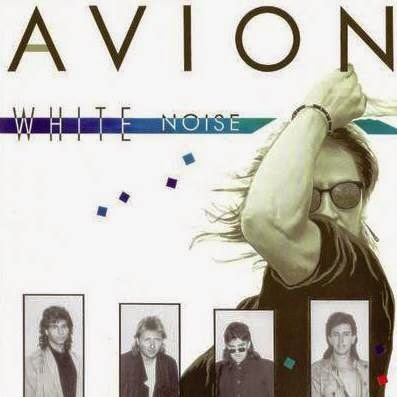 Avion’s musical style was unabashedly influenced by American Adult Oriented Rock (think Journey/Boston/Night Ranger etc). A recording contract with RCA led to the release of their eponymous debut album in 1983 (OZ48). RCA obviously thought the group’s sound better suited the North American market because the album was release there before it was at home in Australia. The album didn’t receive much promotion and though the first single from it ‘I Need You’ was a minor hit (OZ61 – reaching as high as 40 in NSW), Avion didn’t break through in a major way. - Sydney band Avion (not to be confused with the L.A. act current in the 00’s or the 'Par' variety) came into being during 1981. Randall Waller (vocals/guitar) had already released two solo albums (‘Oasis’ in 1978 and ‘Midnight Fire’ in 1980) before forming the band Lionheart which soon evolved into Avion. Completing the original line-up were Martin Toole (guitar), Evan Murray (keyboards), along with Waller’s brothers Kendall (bass) and John (drums). Avion’s musical style was unabashedly influenced by American Adult Oriented Rock (think Journey/Boston/Night Ranger etc). The band also included a strong Christian message in their music lyrically though it wasn’t overtly evident. A recording contract with RCA led to the release of their eponymous debut album in 1983 (OZ#48). RCA obviously thought the group’s sound better suited the North American market because the album was release there before it was at home in Australia. The album didn’t receive much promotion and though the first single from it ‘I Need You’ was a minor hit (OZ#61 - reaching as high as #40 in NSW), Avion didn’t break through in a major way. Two more ‘Diamond Eyes’ and ‘Never Let Me Go’ were lifted from the album but neither made the charts. A stand alone single ‘Still The Night’ was released in August 1984 but again didn’t sell well. Paul Gannell came in to replace Toole on guitar for the band’s second album, 1987’s ‘White Noise’. The album included the earlier single releases ‘We’ve Got Secrets’ and ‘Celebration’ but the celebrations were non existent as none made the charts. The band had remained a solid touring outfit throughout this period though, and it was on a late 1987 tour that keyboardist Evan Murray was killed in a car accident. The loss of Murray and the failure to break through commercially finally led Waller to call an end to Avion’s tenure. 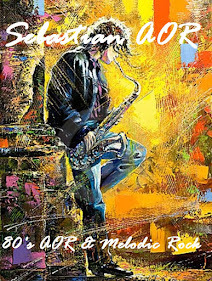 - Sydney based American style AOR act led by former solo artist RANDALL WALLER. The singer had issued two solo outings, 1978's 'Oasis' and 1980's 'Midnight Fire', prior to forming a group known as LIONHEART. This band later morphed into AVION. Lead guitar for AVION's self titled RCA 1983 debut was handled by Martyn Toole. He was replaced by Paul Gannell for 1986's 'White Noise', released by EMI Records. The band's career would be abruptly brought to a halt in late 1987 when keyboard player Evan Murray was killed in a car accident.